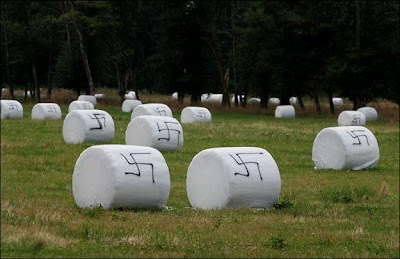 Giant marshmallows for skinhead cocoa? Anti-Semitic messages from Swiss Miss? I saw all these out in the field on our way up to Canada Saturday morning - but the cow's hadn't gotten to the spray paint yet.